Don’t think of your audit as a large expense with little benefit – we’ll show you how we look on it as a chance to review your systems in depth and provide massive added value. Audit and Assurance – a necessary evil or a great opportunity? 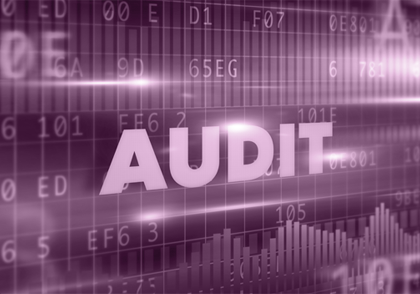 As Registered Auditors, Wilmslow accountants Castletons undertake annual audits for many clients across South Manchester and Cheshire. Every limited company with annual turnover greater than £6.5 million and assets worth more than £3.26million, is required by law to have an annual Audit. That may not seem very fair but, in theory, it’s designed to protect company shareholders. In any event, Castletons try and turn the audit – and its expense – into a beneficial experience for our clients. When we undertake your audit we also give your business a comprehensive health check. This highlights areas where we believe costs, processes and systems should be reviewed. An audit also often identifies potential problem areas and areas where improvements are required. We will discuss this with you and we will assist as necessary to implement the agreed solutions. During the audit we will review your internal controls and make suggestions to strengthen them. In our report we will highlight repetitive tasks and current working practices, with a view to help streamline the flow of information. An evaluation is carried out on the current business systems (manual or computerised) to determine if they meet current and anticipated demand. All members of the Audit Team are fully trained and experienced; and are expected to be professional, polite and punctual at all times during the audit. Where possible, the same team members are used for subsequent audits giving you the opportunity to build rapport and help reduce repetitive learning cycles that can seem to be an unnecessary waste of time. Although we are unable to provide a fixed fee for audit work we will discuss the anticipated fee with you at the commencement of the audit each year, and we will advise you of any additional charges during the fieldwork stage, keeping you informed throughout the audit. At the end of the audit, we hope you feel that it was a worthwhile exercise….providing a valuable annual business health check. If the process has given the business the “thumbs up”, then you deserve a pat on the back! However, if areas of the business are under-performing, then at least you will be aware of it and armed with the best advice to do something about it. Either way, we hope you will be able to view the audit more as an opportunity than an unnecessary expense to the business.